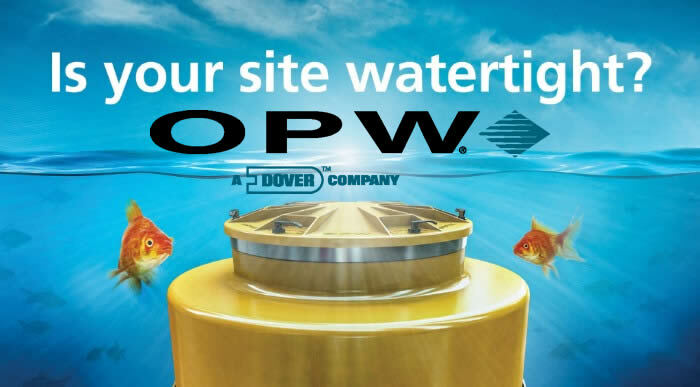 Developed in the collaborative engineering labs of FlexWorks and Fibrelite, OPW’s latest tank sump innovation is the most watertight system on the planet and features no drill dry sump technology. The ElectroTite ships factory-installed with conduit ports and an electrical wiring box, which eliminates tank sump leak points at site installation. By becoming conduit-entry-fitting-free, the market’s most watertight tank sump is now the most innovative. Extremely versatile, the ElectroTite is available in a wide variety of models to accommodate virtually any tank sump application. The sump will be on display at the PEI-NACS show in Las Vegas, October 7-10. Stop by the OPW booth (7021) at the show and see the sump in person and talk with the OPW team about this exciting new innovation! Please feel free to contact us as well with any questions about the ElectroTite tank sump or any other OPW product at 1.800.451.4021.